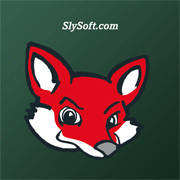 A group of Hollywood studios and technology partners have asked the U.S. Government to assist in solving a long-running court battle against the Antigua based software company SlySoft. Despite an earlier conviction SlySoft continues to offer its DVD and BluRay ripping tools. To progress the matter, rightsholders have asked the U.S. to place Antigua on the Priority Watch List. AACS, the decryption licensing outfit founded by a group of movie studios and technology partners including Warner Bros, Disney, Microsoft and Intel, has targeted several DRM-circumvention tools in recent years. The company sued the makers of popular DVD ripping software DVDFab in the U.S and also went after the Antigua-based company SlySoft, known for its AnyDVD software. The latter case was first referred to the criminal enforcement authorities in 2007, and after seven years of proceedings it resulted in a clear win for the licensing company. An Antiguan court found Slysoft owner Giancarla Bettini guilty of six charges under the 2003 Copyright Act and ordered him to pay a fine of $5,000 per offense. Failure to pay would result in a six months in jail for each offense. However, despite this positive outcome for AACS not much changed. SlySoft’s owner immediately filed an appeal which effectively put the convictions on hold. After two years the appeal has yet to begin and AnyDVD remains widely available. In what appears to be a last-ditch effort, AACS is now asking the United States Trade Representative to take on the matter. The licensing company is asking the Government to place Antigua on its copyright Priority Watch List. “Circumvention through programs such as SlySoft’s AnyDVD HD is a source for widespread, large-scale and commercial copyright infringement by users located in the United States, as well as Antigua & Barbuda, and many other countries,” AACS writes (pdf). In the letter AACS describes its efforts to address the matter through the Antiguan legal system, but notes that the earlier conviction failed to resolve the problem. “SlySoft has continued to operate on essentially the same basis as before the conviction, with no interruption of its ‘business’ and no relief for AACS LA and the content companies whose movies are the subject of SlySoft’s circumvention activities,” the group writes. Placing Antigua on the Priority Watch List is a logical next step, according to AACS, which will put pressure on the Caribbean island and permit the parties involved to carefully investigate the matter. It’s not common for a single court case to escalate into an “international incident” so it’s not clear whether the U.S. Government will take on the recommendation. That said, this is not the first trade dispute between Antigua and the United States. In response Antigua opted to start their own pirate site, with permission from the World Trade Organization. This pirate site never saw the light of day and both countries are reportedly still working on a resolution.